Gold Country is rich in history and in history there were many who visited the area to make it rich. When you’re staying with us, you’re able to dive into the history of the region and maybe you can find a little bit of gold yourself. One of the best places to do both is to visit the Roaring Camp Mining Company near the Gold Country Campground Resort. 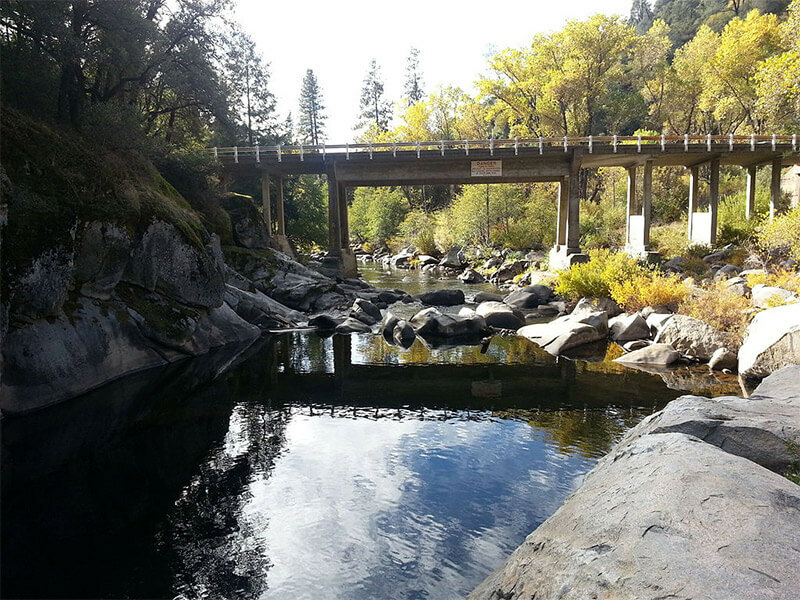 Roaring Camp Mining Company is an old gold mining camp, located on the Mokelumne River. In times past, it was only accessible by horseback. The camp used to be for Forty Niners, but that lack of accessibility meant that most of the gold never left the ground. So not only can you see where gold mining happened, but also where gold mining is currently happening. You can see the operational gold mine and mine for your own gold. Pan, sluice, metal detect, and dry your way to some gold nuggets. Not interested in trying to get some gold? You could go and enjoy the scenery. In the Mokelumne Canyon you can see the three forks of the river come together. You’ll see some amazing waterfalls and natural rock formations. The water is so clear you can see the fish swim. Speaking of fish, there are some great fishing areas. If you love the water but not the fish, no worries. You can get check out a great swimming hole where you can dive off the rocks if you’re feeling daring. The Gold Country Campground Resort has been around since 1956 as a place where visitors could discover the rich tradition and rugged beauty of California’s Gold Country. In addition to being near the Roaring Camp Mining Company, Gold Country Campground offers a variety of accommodations and amenities including start of the art Wi-Fi. To find out more about the other great amenities click here. You can reserve your place with us here at goldcountrycampground.com/reservations.